Peter Lockwood, when announcing the passing of the former Mayor and Councillor of Scott Ward on 15 January. disadvantage. He pushed for stronger public transport, better sporting facilities and creating opportunities for young people. 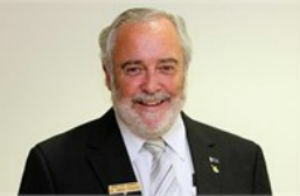 Cr Cooper was elected to Knox Council in 2004 and served continuously until his passing in 2015. He was Mayor for two terms: 2005-06 and 2008-09. Reserves, the Knox WarmWater Pool and the new State Basketball Centre. This entry was posted in Community, News and tagged Cnr David Cooper. Bookmark the permalink.